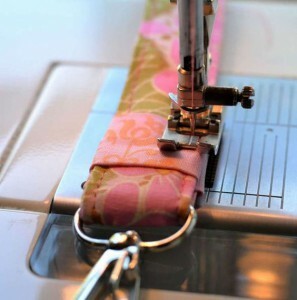 Home Blog Lanyards – why they work as a promotional tool! If you are seeking a professional looking, yet useful gift to offer at a special event, you cannot surpass a lanyard as the perfect giveaway choice. Completely customisable, lanyards can reflect the colours, values and corporate image you want to promote to your clients and customers. If you intend for them to be distributed to delegates at a conference to hold ID or attendance passes you will be looking for a lanyard that is comfortable to wear and the same applies to any sports or outdoor events. The variety of lanyards and attachments available may seem overwhelming. The key to selecting the perfect lanyard is to know your audience and the intended purpose for the lanyards. 1. Get your logo and message in an EPS file format – in this way you don’t have to waste time trying to locate a good quality logo. 2. Think about quantities – be realistic and allow some extras just to make sure that you have enough for everyone. 3. If it’s your first order or want to go for a different type of lanyard this time, don’t hesitate to ask us for samples. This allows you to make an informed decision based on budget and quality so that the final product is what you expected. One of the reasons why I enjoy working in the Promotional Products department is the creativity and variety that this industry provides. There are so many ways of printing, colours, sizes etc. that need to be considered so ask me for guidance. There are certain questions that I will always ask my customers to ensure that I give accurate quotes and suggestions. 1. What is your target audience i.e. Is the Lanyard Intended to be worn by employees or Attendees at a Conference? 2. 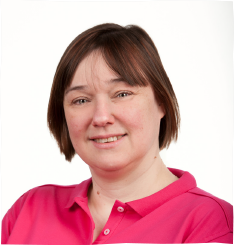 Do you have any major concerns such as budgets or foot print? 3. Do you have a preferred material or does the product need to be used at night? 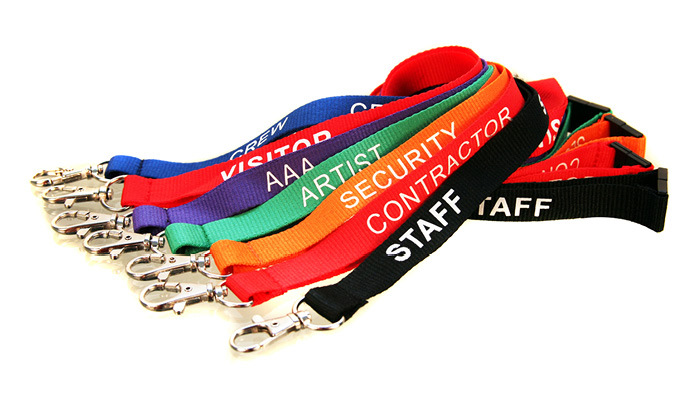 For example, polyester and nylon are the most common materials used in promotional lanyards. They are ideal for printing your logo and name by either screen-printing or dye sublimation techniques. Reflective lanyards are excellent for safety-focused seminars and trade fairs, allowing the wearer to be clearly visible in dark or potentially dangerous situations. 4. Yes or No to a safety release clip? In this day and age it is always better to be safe than sorry, and as such we encourage our customers to add a safety release clip to each lanyard. They are located at the back of the neck and have the ability to come apart when the lanyard is yanked with a medium force. This safety breakaway clip can give you and all who where your lanyards piece of mind, especially if they are being worn around machinery or any moving parts. Below are just some proofs we have done for customers, this is to give an idea of how different one lanyard can be to another. Some prefer them slim, some want them bursting with colour, printed on one or both sides – standard material or silky soft, ask us and we’ll do our best to please!